I recently visited Huddersfield Skin Revival Laser Clinic and had Microdermabrasion and LED Phototherapy treatments, I did a post and vlog about the visit. 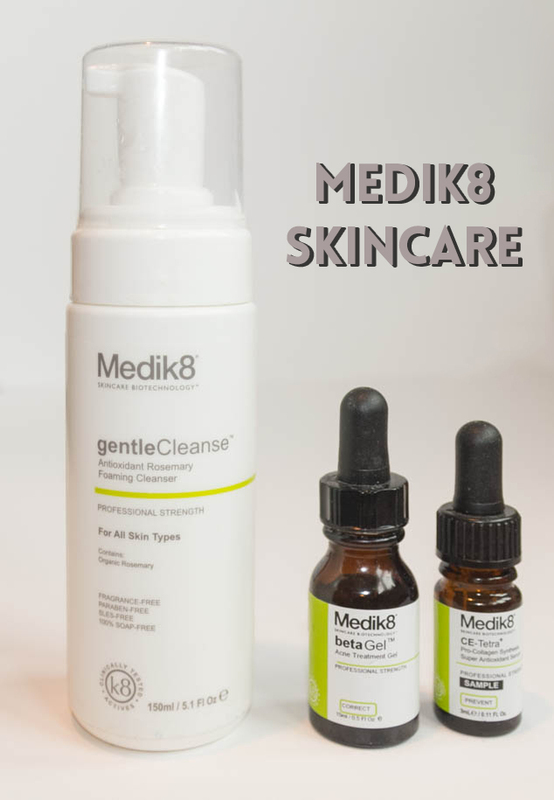 The Skin Revival Laser Clinic kindly sent me some of the Medik8 products that they use in their clinic, the Medik8 Gentle Cleanse, Medik8 CE-Tetra and the Medik8 Beta Gel for Acne & Blemishes. 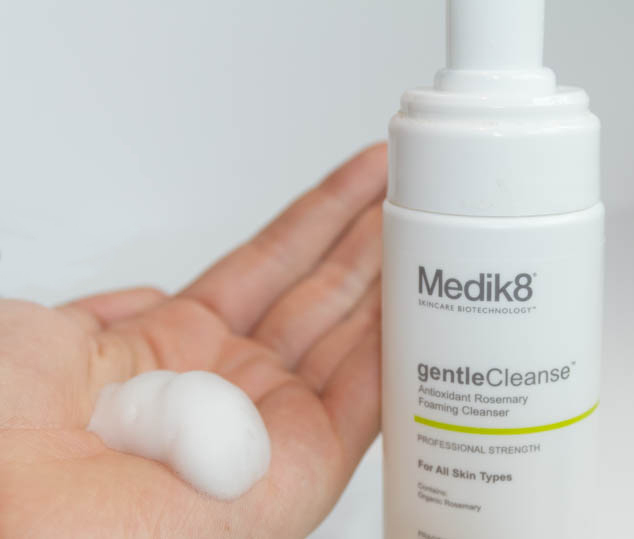 The Medik8 Gentle Cleanse is a really light foam cleanser that is rosemary-infused. It is really refreshing and gentle foaming cleanser, great for sensitive skin. It removes impurities, dirt, make up and excess oil and also contains natural, hydrating glycerin. I have been using it every morning and evening, wetting my face, pumping a small amount of cleanser once into my hand and applying to my face and neck. I then splash water on my face to wash off the foam and pat my skin dry. The Medik8 CE-Tetra a vitamin C and E serum that smells fantastic like oranges and leaves your skin feeling amazing. It is a very high strength vitamin C serum and can be used at any age. The serum helps sun damage to the skin as well as boosting collagen production. This helps improve the skins elasticity, density, texture and complexion. I use the product in the morning after using the Medik8 Gentle Cleanse by applying 4 drops and blending across my face and neck with my hand. Medik8 Beta Gel for Acne & Blemishes is for use on individual blemishes. It uses dioic acid, salicylic acid, azelaic acid and niacinamide and is a very strong spot fighting formula. It penetrating deep into your pores and exfoliates, soothes and acts as an anti-inflammatory to reduce redness. It can be applied any time but can also be put on after cleansing before make up. Use one drop per blemish and rub into the skin with a clean finger. Only a very small amount of product is needed as it is very strong and can sting but is very effective for fighting off blemishes.